Power generation and distribution technologies for a reliable and environment-friendly energy supply play a key role in development of sustainable and energy independent communities. Sfinkx offers components and solutions for the entire renewable energy power production chain including power generation in combined cycle gas and steam turbines and solar power plants. Sfinkx was contracted for engineering, procurement and construction (EPC) for the Rinehart Solar Farm, a 10 MW solar photovoltaic project on the rooftops and grounds in Seminole County, Florida and the 100 MW Sorrento Solar Farm project currently under construction in Lake County, Florida. Energy Generating Vehicles (EGV) allow for mobile deployment of vehicles that produce energy at the source it is consumed. Equipped with photovoltaic energy generating systems, these vehicles can be used to power the on-board systems or to energize a Battery Energy Storage System (BESS) that provides power for mobile command stations or emergency management scenarios. 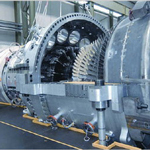 Sfinkx is contracted for a feasibility study of industrial combined cycle gas turbine with reliable robust design, high efficiency and low emission. Sfinkx provides solutions for deployable emergency power management. Sfinkx specialty Energy Generating Vehicles (EGVs) allow emergency management teams to provide power in situations when access to grid power is not available. Battery Energy Storage Systems (BESS) allow for on-demand power where ever it is needed – with or without the need for external charging.